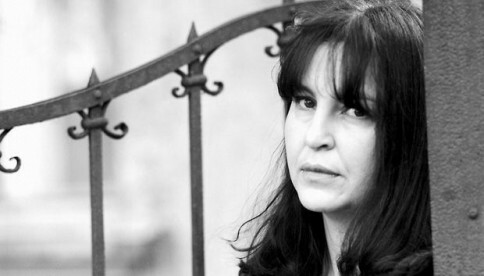 Irena Matijašević, born in Zagreb in 1965, graduated with a degree in English and comparative literature from Zagreb's Faculty of Humanities and Social Sciences. She served as a member of Croatian Semiotic Society’s board of directors and currently she works as an editor at Croatian Radio where she edits programs on poetry and literature, as well as on human sciences. Her work as a translator is marked by translations of theory, anthropological (Clifford Geertz, Interpretative Anthropology, 2010) and psychoanalytic (Anthony Elliott, Psychoanalytic Theory, 2012). Her publications include essays, published in literary magazines and newspapers, as well as three books of poetry: Naizgled (Seemingly, AGM, 2007), Južne životinje (Southern Animals, AGM, 2010) and Danska H20 (Dennmark H20, AGM, 2012). Her poems were translated into German, English, Slovakian, Swedish and Polish. In 2015 she published the novel Black Letter (Algoritam, Zagreb) and presently she is writing a novel Diary of the sea to be published by Hena.com in 2017.
in concrete pots. a child running. for the buzz of engines. everyone is ready to take a nap, reduce the movement. a secretary diligently types. the phone rings. she answers. every clock mechanism is empty and the fruits ooze emptiness, and the pots. big flowers, and all these concrete pots. canvas of the curtain, the sun as it forms the reflections. for the building of trains, of countries, which will be on the map. you i always respect and understand. a foreword and a measure. what it’s like to live here.